For those seeking permits for the capture and transport of wildlife in Pennsylvania, this eight-hour course is the first step helping you meet the Pennsylvania state permitting requirements. This entertaining and enlightening course covers the basics of wildlife capture in the field including legal issues, safety, equipment, recognizing true emergencies, proper capture and handling techniques, public relations and education. A written exam will be given at the end of class. 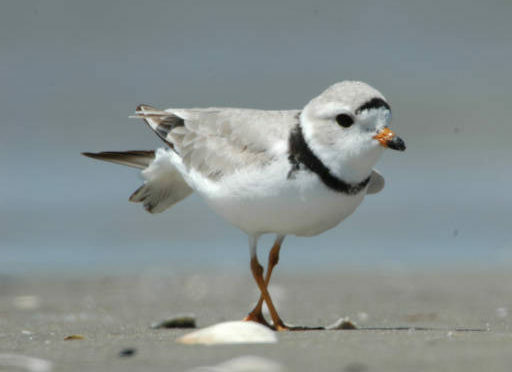 A passing score of 80% (along with sponsorship from a permitted wildlife rehabilitator and approval by the local WCO) is necessary for obtaining a permit in Pennsylvania. When an animal first arrives for rehabilitation, the initial steps you take to examine and stabilize the animal can impact its survivability. Your immediate actions can save the animal, or hasten its death. 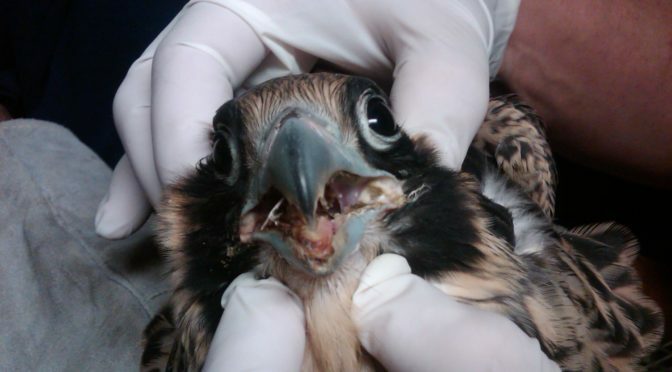 Basics in Wildlife Rehabilitation Series. This set of lessons must be completed prior to advancing to several other lessons. 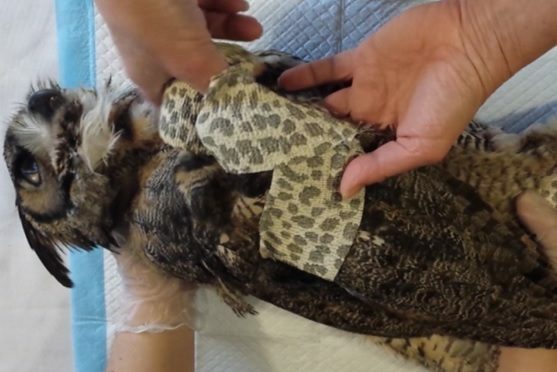 Most adult wild animals admitted for rehabilitation are suffering from injuries. Being able to properly address wounds and splint fractures are important skills for the wildlife rehabilitator. This course contains the essentials for helping an animal recover from traumatic injuries. Becoming a non-profit wildlife rehabilitation center in Pennsylvania need not be complicated, nor expensive. In an effort to help wildlife rescues become successful, Red Creek Wildlife Center and Wildlife EDU offers this step-by-step course in filing all of the forms and meeting the requirements for becoming a incorporated in Pennsylvania. Please note: This workshop is specifically designed for Pennsylvania Wildlife Rehabilitators who wish to become incorporated and apply for IRS 501c3 status as a non-profit charity. Individuals outside of Pennsylvania, and those wanting to to start a charity that is not wildlife rehabilitation may benefit from this workshop, but will have to adapt what they learn to their state and their mission. The IRS has changed its forms. This course is closed to new students until we update our course to reflect the changes. Pennsylvania Game Commission permits for wildlife rehabilitators include two additional authorizations for certain classes of animals: rabies vector species (RVS) and threatened and endangered (T&E) species. 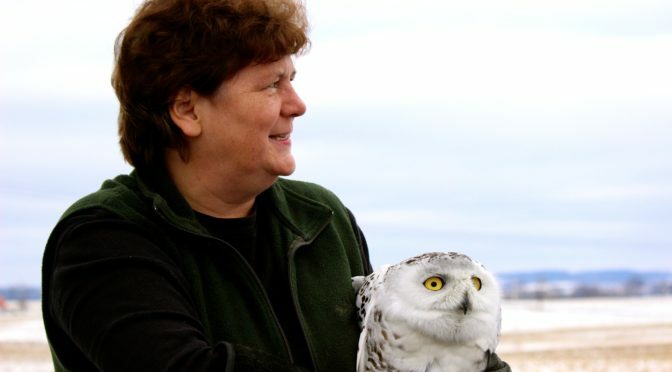 This class is intended to deliver the knowledge necessary for a general wildlife rehabilitation permittee to be authorized to receive, treat and rehabilitate threatened and endangered species in Pennsylvania. Upon successful completion, a general permit wildlife rehabilitator can apply for T&E certification to added to their permit class. 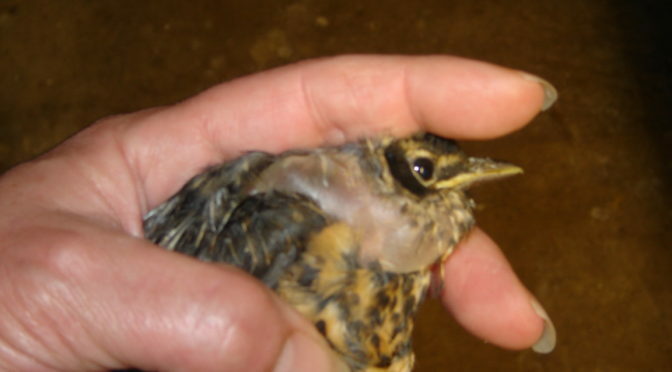 Since general class rehabilitators already possess basic skills in stabilization, medical care, diet, rehabilitation and release of distressed wildlife, this program is geared to understanding those aspects directly associated with receiving animals considered of special interest and listed as threatened and endangered in the Commonwealth. Any rehabilitator can receive all wildlife species (even those outside of their permit class (mammal, non-raptor, raptor)). 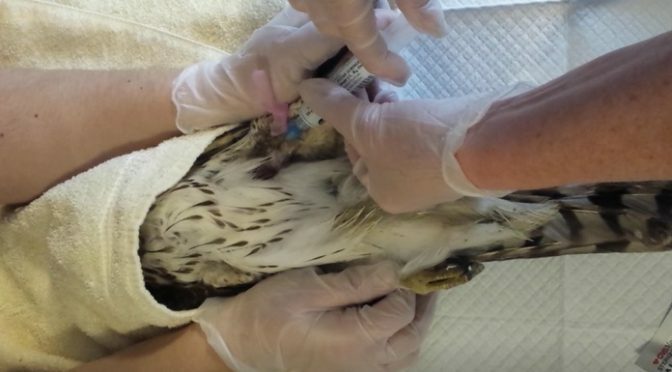 It is prudent for all rehabilitators seeking T/E authorization to be able to identify and give emergency care to all special listed species, even those outside of their permit class, so all species are covered in this course. The information presented is also valuable to novice rehabilitator permittees, sub-permittees, capture and transport permittees and volunteers. Red Creek wildlife Center “Series Students” may enroll for free by LOGGING INTO THEIR ACCOUNT HERE. is THE most important step in the wildlife rehabilitation process. When a person calls a wildlife center with an injured, orphaned or sick wild animal, the ensuing conversation may be THE MOST IMPORTANT conversation in that animal’s life. 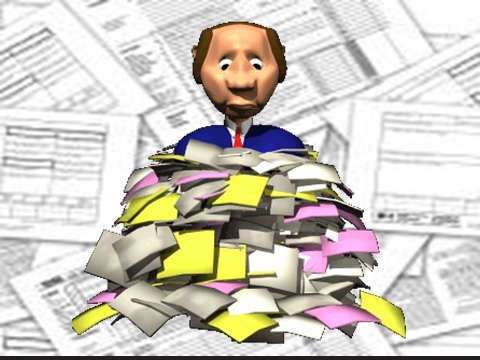 The decisions made by the finder will have an immense impact on its future. 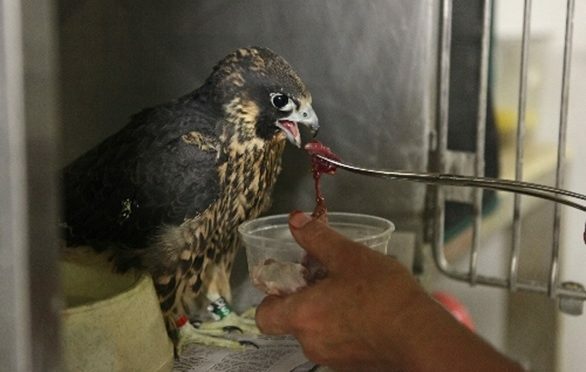 In wildlife rehabilitation, much emphasis is placed on techniques, diet and housing (and rightfully so), BUT having the right information during THE BEGINNING of the process is a CRITICAL STEP in the rehabilitation of that animal. The volunteer who answers the phone is an important link between the wildlife center, the finder and the animal. For the organization: you are THE representative that will leave a lasting first impression on the person calling. To the finder, you are their salvation from a very emotional situation. For the animal, YOU are their lifeline to any chance of living a natural life. This self-paced. 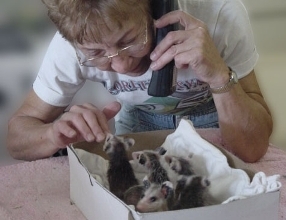 non-accredited course will prepare the wildlife rehabilitation volunteer to answer emergency calls pertaining to injured, orphaned and foundling wild animals. Compared to the variety an animal eats in the wild, food offered in a wildlife rehabilitation setting is quite limited. Optimal nutrition is important for growth, healing and conditioning. It is essential that food offered meets the highest nutritional composition and is easily recognized and digested by the species. This class includes the essentials a wildlife rehabilitator needs to meet these goals.